Welcome to the 52nd installation of Encephalon, a blog carnival devoted to presenting the best recent blog posts in neuroscience and psychology. Science blogging isn’t merely a means of recording information. The best science bloggers are expert at asking, and then answering, a question that the reader might never have even thought about before. That gives us the organizing theme of today’s carnival: Q&A. Q: What is the relationship between neurogenesis and depression? A: Find out about the interplay between depressive disease, the creation of new nerve cells, and circuits in the brain at the new blog Neurospeculation. Q: For that matter, is there a relationship between depression and diabetes? A: The correlation between the two diseases is described at BrainBlogger. Q: What is the molecular basis of bipolar disorder? A: We’re getting much closer to an answer than I’d anticipated. At Channel N, listen to a talk by a prominent researcher in the field. Q: Can brain stimulation make you a better driver? A: At Brain Stimulant, learn about the application of transcranial direct current stimulation to improving decision making and risk assessment in tasks like driving a car. Q: What is the perceptual defect underlying tone deafness? Q: What determines plasticity in the visual cortex? A: At least one newly discovered protein factor, which moves through synapses from the eye toward the brain, is now thought to play an important role in experience-dependent synaptic plasticity. Read about it at Neurophilosophy. Q: Can we do anything to control our own brain’s plasticity? A: At SharpBrains, a contributor describes what she learned about adult learning and neural plasticity at a “Learning and the Brain” conference held earlier this year. Q: Are concepts encoded in single neurons? A: The latest findings and theories regarding “grandmother neurons” are discussed at combining cognits. Q: Speaking of dear old granny, how are social attachments encoded in the brain? A: A recent fMRI study compiled data regarding how individual attachment style modulates neural activity in two separate parts of the brain during social appraisals. Neurotic Physiology has the scoop. A: At MindHacks, just say yes to learning about the latest findings regarding THC and cannabidiol. Q: Does culture determine the neural substrates of cognition? A: The latest information regarding what flies can teach us about this important evolutionary question is reviewed at Neuroscientifically Challenged. Q: Is there a correlation between the percent coverage of women’s bodies by clothes, and the hours of coverage they receive on television? If so, is that correlation positive or negative? A: Learn the completely unsurprising truth at The Neurocritic, who analyzes a data set fresh from the Olympics. Thanks for reading. 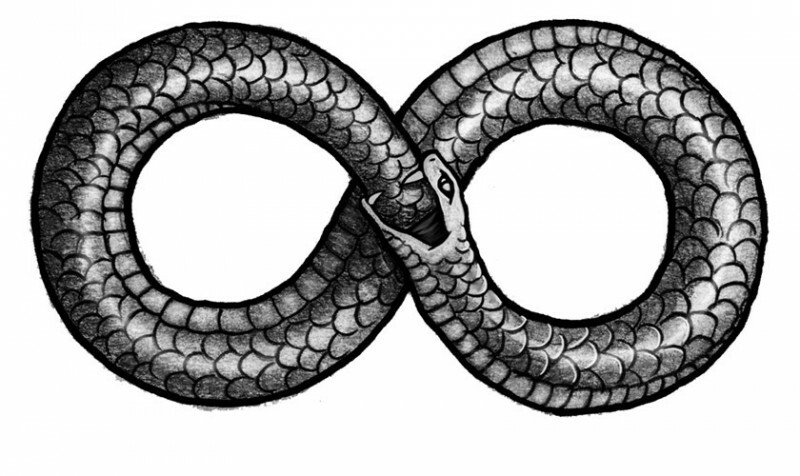 Ouroboros will return to its regularly scheduled programming tomorrow. The 53rd installation of Encephalon will be held at Ionian Enchantment on September 1st (or maybe September 2nd, since the 1st is Labor Day). Send your submissions to [encephalon.host][at][gmail][dot][com].